We just wanted to post a reminder that there are just 5 days left on our offer of £5 off all purchases of £50 and over (excluding shipping). We’re still really pleased to have gotten 500 Likes on Facebook – and we’re riding higher at 526 at the moment. Thanks to all our customers and supporters. We had a great time at Grogmeet this past weekend, a small but really exciting event here in the heart of Manchester. A fantastic energy and atmosphere, with much old school gaming through the day. 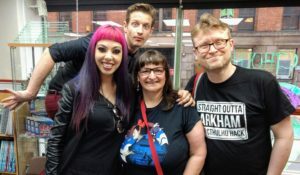 Even when the evening drew in and the light grew dim, they pushed through to the end – and the event rounded out with a raffle which included a one-of-a-kind Grogmeet All Rolled Up. 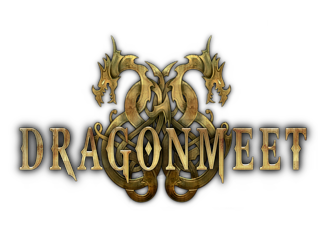 In less than 3 weeks, we’re off to London for Dragonmeet 2016. 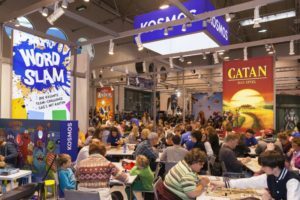 The big close to the year, we’ve been creating stock for this event since we returned from Spiel in Essen. Expect to see piles of All Rolled Up game rolls, dice trays, accessories and more; we’ll also have Just Crunch Games on hand, selling The Cthulhu Hack books. 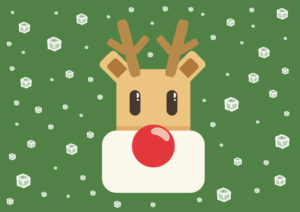 Save up your pennies and start updating your wish lists with family and gaming friends! And remember – if you want to buy someone something for Christmas, plan ahead. Final posting days lie just ahead and if you want something Made to Order, we need time to make it. For overseas customers, anything not In Stock might well be too late already! Get shopping – while the discount holds and stocks last!